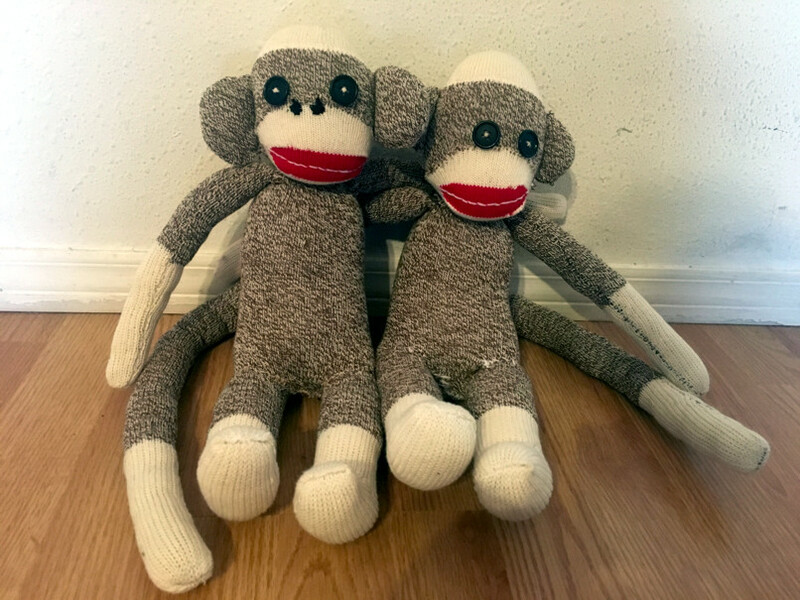 Sock monkeys are an American icon and very popular with all ages. They are very easy to make, and come in as many styles, colors or themes as your imagination allows you to make. There are even electronic sock monkeys that sing popular songs. 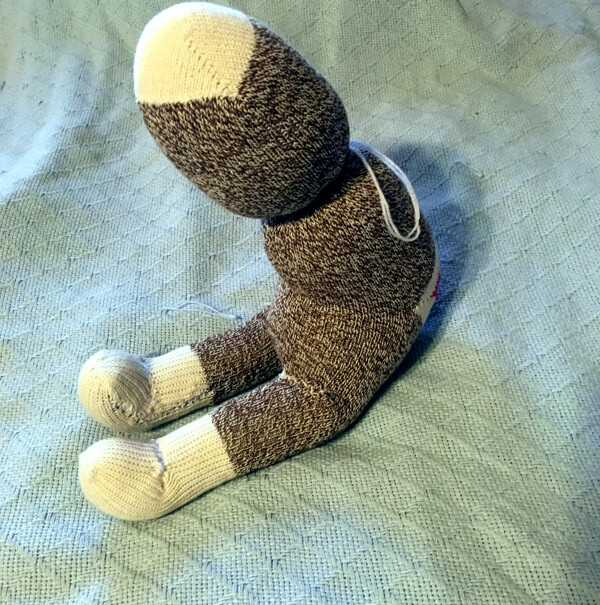 Sock monkeys are very easy to make, here is the regular method to make this vintage toy, including pictures in every step. 15 oz. of regular stuffing or polyester fiberfill. Two black buttons for eyes. Optional red yarn and ribbon. Turn sock inside out. Saw 2 seams 1/2″ apart from each other, starting about 3″ from white heal, and accross end of the cuff. Cut between seams to 1 1/2 of white heal, leaving an opening for stuffing. Turn sock right side out. Stuff and mold the shape of the monkey’s body and legs. Saw the opening fromtop to bottom, so the legs stay spread instead of pulled together. To make the head, tie the neck with ribbon or yarn. Bend the legs into an “L” shape, and sew crease, also you can bend the tip of theleg, to fold the feet, sewing a second crease. Cap. Cut off the toe of the sock, leaving 1/2 ” of brown trim. Tail. 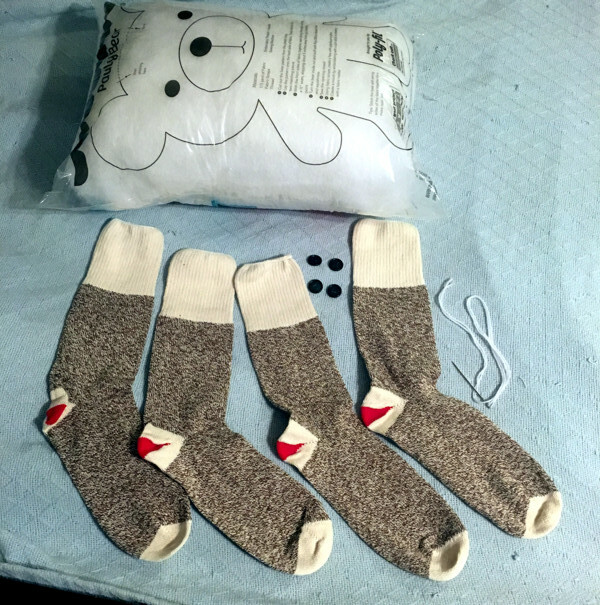 Cut 1″ stripthe full lenght of the sock, seam inside out, turn it and stuff. Attache the tail to body with stitches. Arms. Cut the remaining upper part into 2 pieces, seam inside out, turn, stuff, and attach to arms to the body with stitches. Ears. 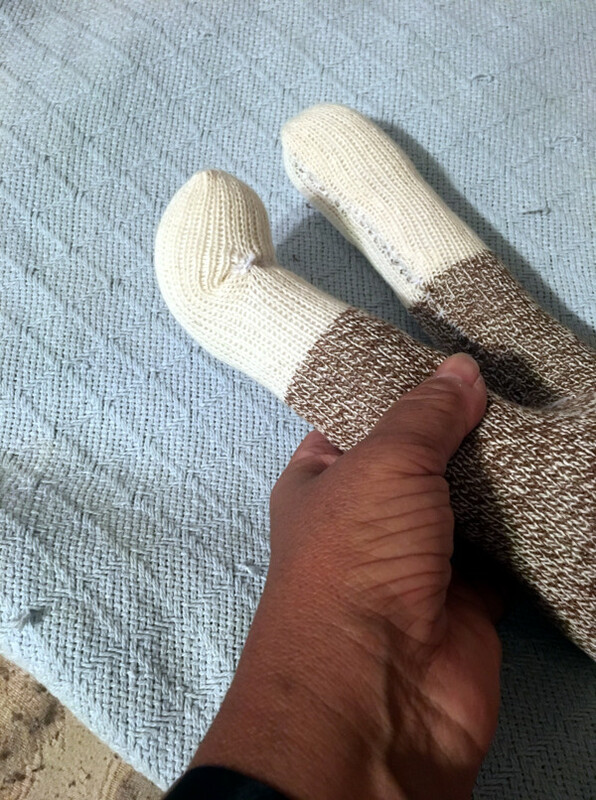 Cut ears form the remaining brown part of the sole, by cutting two circles, fold them, seam inside out, turn, stuff, and attach to arms to the body with stitches. Mouth. 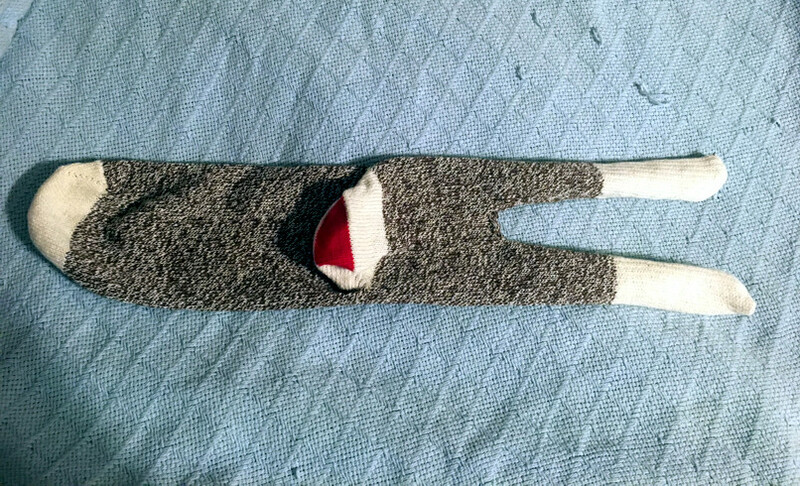 Cut the heal from the sock, leave a brown edge around the white part. stitch around the lower part of face, leaving a small opening for stuffing. You can also run a black or white stitch across the middle mouth (optional). Eyes. Sew the two black buttons on top of the mouth, stitch the nose with two black circles as nostrils. Personalize. 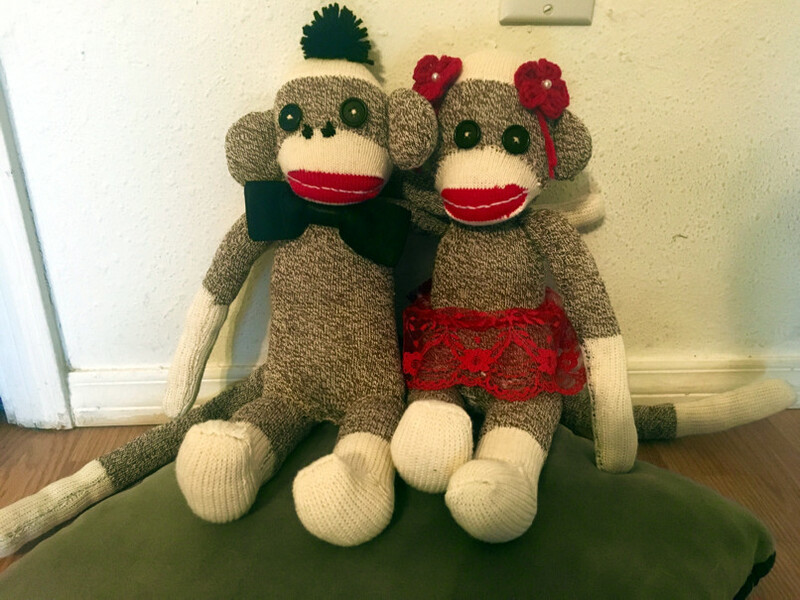 Give your Sock Monkey a personal touch, by adding a hat, scarf, flowers, hearts, etc. How to cut sock # 1. Stitch the end of feet. 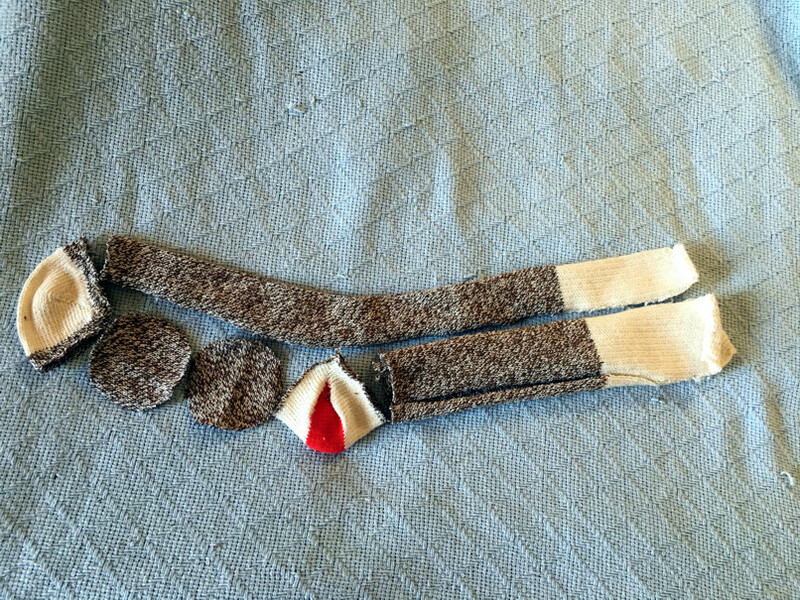 Tie one end to make the monkey’s head. How to cut sock # 2. 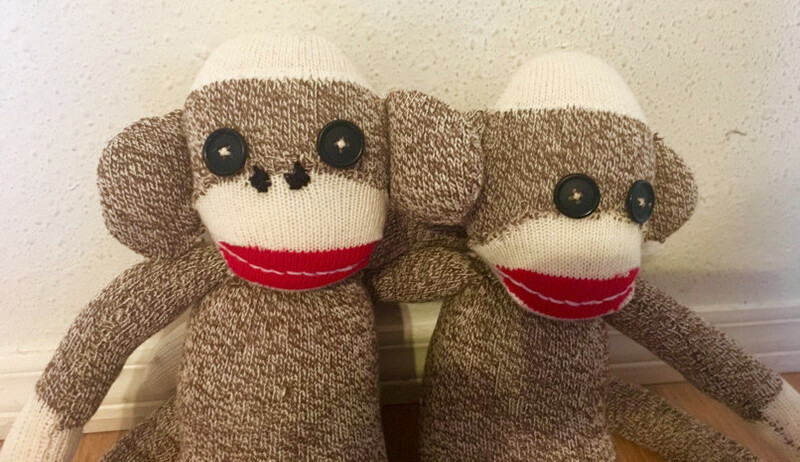 Finalize your Sock Monkey with a personal touch. These are so cute 😍 Shall save these to make during the school holidays!